At first glance, Windows 8 is unmistakably unfamiliar compared to older Windows versions. Most users find it extremely hard to use out of the box. However, it doesn’t have to be that way. In fact, Windows 8 is arguably the most powerful and intuitive operating system that Microsoft has ever released. With a few tricks and hacks, Windows 8 can become a lot easier and enjoyable to use. Unsurprisingly, a lot of people don’t even know these things are possible. In this post, I’m going to share with you a couple of trick and hacks that I believe are an absolute must-know for every Windows 8 user and perhaps every Windows user because ultimately you may need to upgrade. So fire up your Windows 8 machine and let’s get rolling! If you’re coming from Windows 7 or earlier Windows versions, the most notable change you’ll notice with Windows 8 is the omission of the Start button. This is particularly annoying when you’re just new to Windows 8 and although Microsoft did its best to kill the mighty Start button, it didn’t quite succeed. There are actually two ways you can ‘resurrect’ the Start button and menu. The first one is by using a free or paid application and definitely most new Windows 8 users wouldn’t want to go this route. In the second method, you have to build your own quick-and-dirty Start menu. Although this is a cheaper and faster method, you don’t get the classic Start menu as many features are omitted including the search button, Control Panel, Network places, and so forth. Before you start, be sure that hidden files are viewable (open ‘File Explorer’, click on the ‘View’ tab and check ‘Hidden Items’ and ‘File Extensions’ boxes). Right-click on the taskbar and select Toolbars > New Toolbar. A Start Menu taskbar will be placed on the taskbar in the far right. Although Microsoft took away the mighty Start Menu in Windows 8, it offered an even more powerful tool – the Power User Menu. You can launch this text-based menu by pressing the Windows key + X or by right-clicking in the bottom left corner of your screen. The menu comprises 16 power tools that are more or less self-explanatory, such as the command prompt, administrative command prompt, run box, and device manager, among others. Obviously, the power user menu offers an easy shortcut to the aforesaid apps and can also be hacked, meaning you can add items you want and remove those you don’t want. To add items, browse to this location ‘C:\Users\username\AppData\Local\Microsoft\Windows\WinX’ where you will find 3 folders: Group 1, 2, and 3. 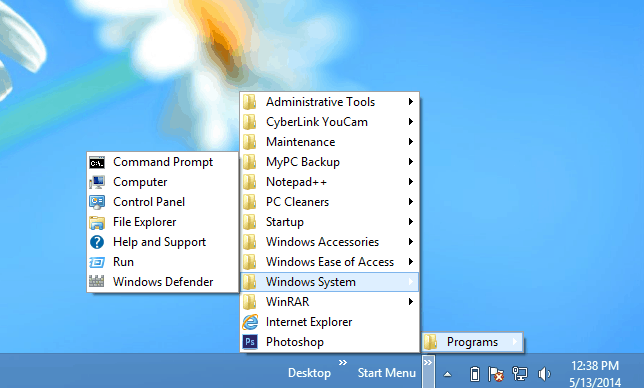 Each of the folders contains shortcuts to the programs displayed on the power menu. If you look back carefully at the power menu, you’ll notice two faint lines splitting the menu into three parts. These parts correspond to the folders above. To add or remove apps from the menu, simply edit the contents of those folders. Once you’re done, sign out of Windows and then sign back in to your new power menu waiting for you. 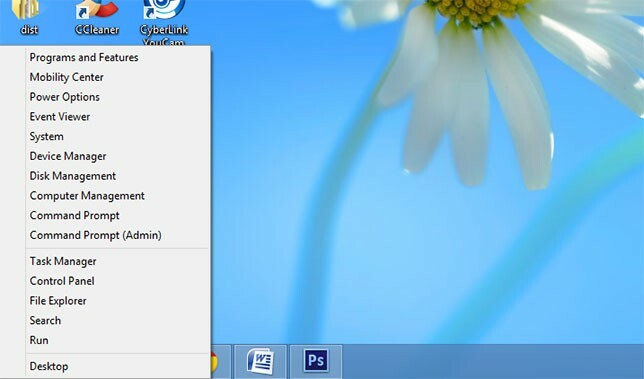 When you power up your computer, it goes to Windows 8 lockscreen where a large image is displayed along with time and date, notifications, status updates from some apps, and so forth. By default, the lockscreen displays updates from email, calendar, weather apps, and messaging. However, you don’t have to always be looking at this as you can customize what you want to be displayed. You can make all these changes from the lockscreen settings page. Press ‘Windows+C’ to display the Charms bar and then select ‘Change PC Settings’ at the bottom of pane. Select ‘Lockscreen’ under ‘Personalize’. Your lockscreen image will be displayed at the top of the page. Below the image, you’ll find the ‘Lock screen apps’ section that comprises apps that display notifications and updates automatically on the lockscreen. Click on the plus signs to the right of the app icons to add an app that will display updates and notifications on the lockscreen. Just below this section is another one that that says, “Choose an app to display detailed status.” This app displays more info in the lock screen than the apps in the section above it. Only the weather and calendar apps can display such detailed updates; one app at a time. Simply select the app that you want to display detailed info on the lockscreen. In the older Windows versions, it is called ‘Windows Explorer.’ However, File Explorer in Windows 8 is more than just a name change. It was given a total makeover, most notably the inclusion of a Ribbon interface that makes for easy access of tasks, features, and views. There are so many more ways you can get more productive with File Manager thanks to the Ribbon features. 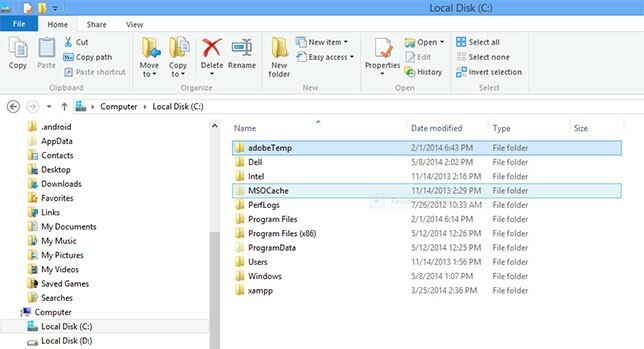 Use the invert selection feature to delete or move many files in a folder. Windows 8 allows for the creation of an application folder on the Desktop or File Manager where all your apps will be housed. Create a folder on the Desktop or in File Manager. 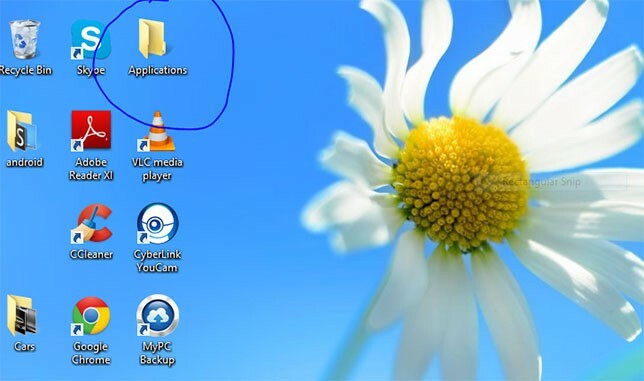 The folder will now be called ‘Applications’ and will contain all the apps. 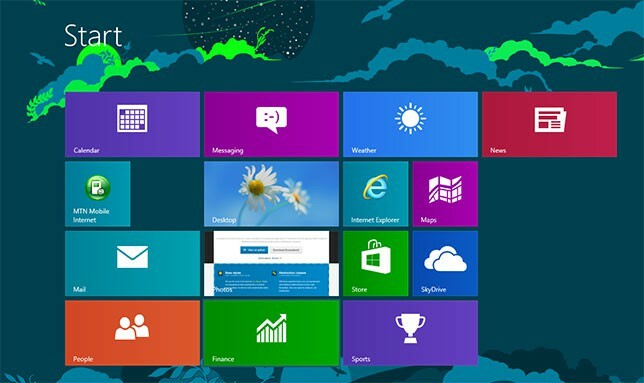 And that’s basically it with our five starter hacks for Windows 8 that you need to know. Stay tuned for more cool Windows 8 hacks that I’ll be posting soon.